Macht Frau Holle ´mal ein Schäferstündchen – ist er trüb, der Tag, bei uns unten. doch der lichte Schnee kühlt die Wut zum Wütchen. entkommen wir dem nahenden Kamm. der Dunst fesselt das Licht bei Seefeld. During the event, flying weather updates can be found here! Here you will find the individual results of the competitions 2017 as pdf. Here you will find the individual results of the competitions 2016 as pdf. balloonalps 2017 offers a variety of events for pilots and guests in addition to competitions. During the event guests will have the opportunity to fly with us and take a look at the magnificent Alps in winter. balloonalps is Austria’s unique international ballooning event taking place in the wonderful landscape of Hohe Tauern in Zell am See- Kaprun. The third edition of balloonalps takes place February 11-18, 2017. Registration, if you want to participate in the competitions, will start on March 1, 2016. (here on this website: team-login). This week offers great events not only to pilots but also to the public. Come and watch balloons competing in three different kinds of competitions. The maximum distance flight will challenge pilots and their teams with speeds of up to 100 km/h and heights up to 6000m to fly as far as possible, crossing Austria’s highest mountain, the Großglockner, fly all the way to Italy and across the Alps. The so-called “Fly In” at the Lake Zell is a very difficult task that requires a maximum of precision during flight and landing. The public will be able to watch from the Elisabeth Pormenade when the balloons come in over the lake. The so-called “Hare and Hounds”, which is a kind of chase, will be the third competition of this event. Andreas Lanzinger, head meteorologist and competition director Werner Schrank, best Austrian participant at the World Championship in Japan in 2016 (ranking 27 of 105), will be on site to provide the best service possible to all competing teams. Ballooning teams will also enjoy a welcoming evening event at the TAUERN SPA, a visit to the casino as well as the presentation ceremony at the Kaprun Castle. From Feb 11-18, 2017 children and grown-ups will have the possibility to enjoy balloon flights every day. 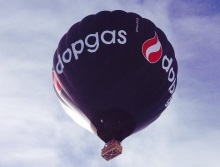 If you want to fly with one of our balloons, you can book your flight here. We are happy to welcome an airship for the first time at balloonalps. You can book a flight with this airship every day from February 11-18 and fly in the valley around Zell am See/Kaprun. Book here. How does a hot air balloon work? Children will get the answer to this question at this year’s balloonalps. Mister Karl-Joseph Hein has created a unique program for children and shows the world of hot air balloons using a small-seized model balloon. He visits schools, kindergartens and charitable institutions to make children experience and understand how hot air balloons function. His model balloon is 5 meters high, which gives children the chance to fully understand how they work and how they can be used. Daily events are planned at the airfield in Zell am See. The “Night of the balloons” will take place on two evenings after nightfall. On Monday, February 13, in Kaprun Lechnerberg and Wednesday, February 15, in Zell am See at the valley station of the cityXpress. Visitors can enjoy a colorful event with a night sky filled with balloons. The event starts at 8p.m and offers entertainment, cool beats and hot drinks. Free entry. 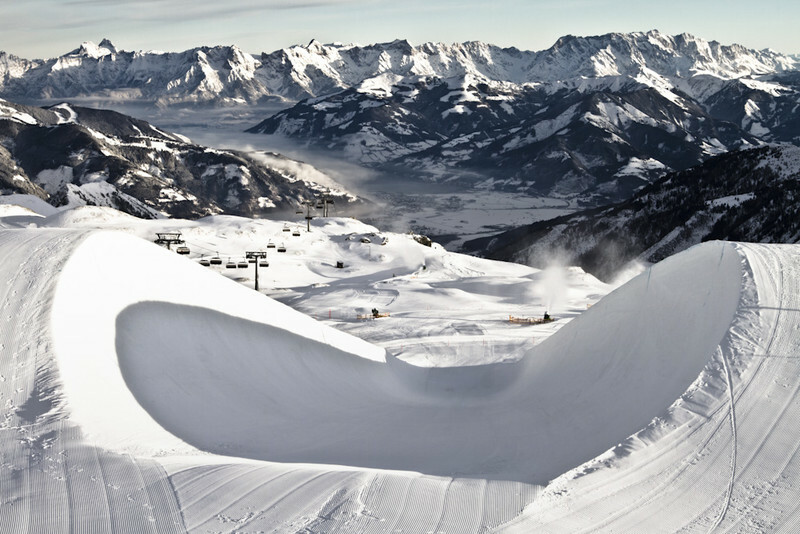 Zell am See-Kaprun has become a popular site amongst pilots to launch for crossing the Alps in wintertime in the past decades and has hosted a variety of fantastic national and international competitions. Already during the early 1970ies balloon events took place in this alpine area. In 2009, the Alpine Balloon Trophy took place in Pinzgau. “balloonalps - THE ALPS CROSSING EVENT“ successfully continued this wonderful tradition in February 2015 with its Start-UP event. The participants competed in several regional competitions and one long distance flight to Italy! The reasons why “balloonalps” is such a big success are easy to explain: The winter wonderland of Zell am See-Kaprun offers the perfect infrastructure in terms of gastronomy, accommodation and service to contestants and the organizing team. 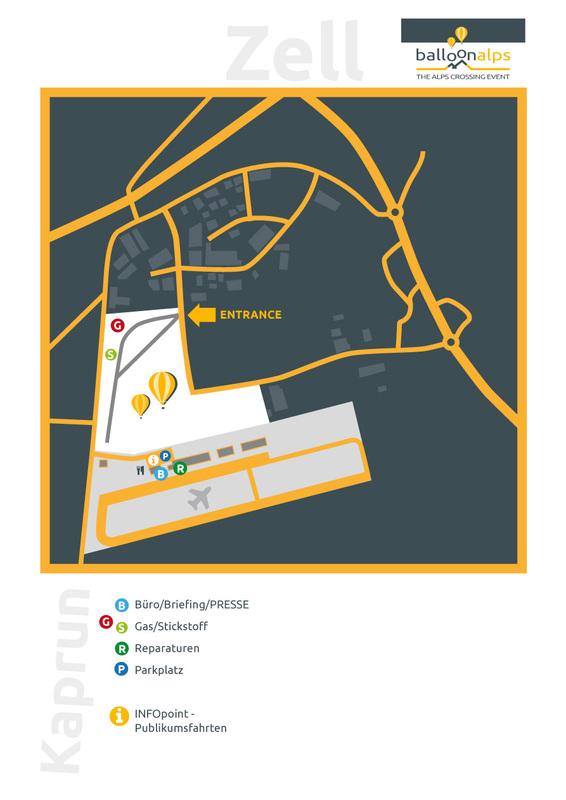 The airfield is the ideal launch site for competitions as well as for passenger flights. In terms of geography the position close to the main chain of the Alps is the perfect place to launch for the adventure of crossing the Alps. And last but not least: Winter! Thanks to the relatively large temperature difference between the air inside the envelope heated by the burner and the surrounding winter air, the lifting capacity as well as the potential duration of flights increases considerably. This is why the winter is the only time when crossing the Alps is possible at all. In short: Perfect conditions for an exceptional balloonalps-week! Do balloons fly? ….in German, this is a big and confusing question because strictly speaking, they don’t fly. This is why in German it is called fahren (driving). The difference between flying and driving is that aircrafts that are lighter than air (like balloons) don’t fly, whereas aircrafts heavier than air, actually fly. – The second explanation is that objects which cannot be steered but float passively within the elements (for balloons that would be air/wind) don’t fly, so in German this is called fahren. Flying actually requires the possibility to steer. The only thing that we know for sure is that this discussion has a long history. Already the first pilots used the term fahren as they adopted the nautical vocabulary. How, where to and why? Generally speaking, it is not possible to steer a balloon. In order to control direction and speed pilots use the wind. Different air layers can have different wind directions and speeds which can be used by the pilot to rise or sink and to move towards the designated landing area. By operating the burner, the air in the envelope is heated up and the balloon rises. The constant slow cooling of the air brings the balloon down. If the pilot wants to sink faster, the so called “parachute valve” (a kind of valve at the top of the balloon) can be opened. Opening and closing the turning vents will turn the balloon around its vertical axis which can be useful to get the balloon into a good position for landing. The hot air balloon pilot tends to fly long distances in greater heights because wind speeds are higher than closer to the ground. Oxygen masks are needed for heights that reach or exceed 6000m. Warm clothing is absolutely necessary as temperatures can drop to -25°C and less. Hot air balloon flying can sometimes be perceived by outsiders like driving a car with the handbrake and the steering wheel lock on: quite limited. But humanity sometimes likes a challenge, so ballooning is not only a great hobby but is also taken very seriously in competitions up to World Championships. Ample preparations, tactics, courage and fitness are key factors of success when you are playing something like “sky chess”. Depending on the weather conditions, the competition manager assigns one or more tasks which the participants try to complete as accurate as possible. Usually, the tasks involve dropping a small marker bag as close to a targeted area as possible. Declared goals: The goal will be declared by the competition manager prior to the competition and all the participants try to get as close as possible to the targeted area. Pilot declared goals: The goal will be declared by one of the pilots prior to or during the flight. Fly in: At balloonalps the pilots find their own launch sites at least 5km away from the target area declared by the competition manager and try to drop their markers as close as possible to the scoring area. They continue their flights to find an appropriate landing site. ballonalps: The area valid for competition is unlimited (crossing national borders is allowed) and flights will be undertaken as maximum distance flights. Pilots try to fly as far as possible within a defined period of time. GPS recordings serve as proof for the distance flown. Alternative: Pilots fly minimum distance flights within the scoring area and a defined period of time. The pilot who flew the shortest distance during a given period of time wins. One balloon – the hare– launches first and puts a target cross at the landing site for the other balloons. The following balloons try to drop their markers as close as possible to the target cross (no throwing!). The shortest distance to the center of the target cross wins. Pilots continue their flights to make room for the other pilots. A sparkling lake surrounded by mountains with brilliant white glaciers, green alpine meadows and steep rugged rock. The uniqueness of this region is defined by its diversity. This is Austria’s nature at its best. The region of Zell am See-Kaprun was formerly known as "Europa Sport Region". One of Europe’s clearest bathing lakes, the shores of Lake Zell provide holidaymakers with a place for taking a deep breath and enjoying the fresh air of Zell am See, a climatic health resort. From picturesque Mount Schmittenhöhe Lake Zell is just a stone’s throw away. During summer the Schmittenhöhe offers lush meadows, during winter the Schmittenhöhe is a very popular skiing paradise. The glacier of Mount Kitzsteinhorn is located close to Kaprun. It is the only glacier in the province of Salzburg. On its plateau and the summit at an altitude of 3,029m you will find perpetual ice. Not only in winter but also in summer snow can be taken for granted here. Enjoy the fun and luxury of going skiing at least ten months a year. 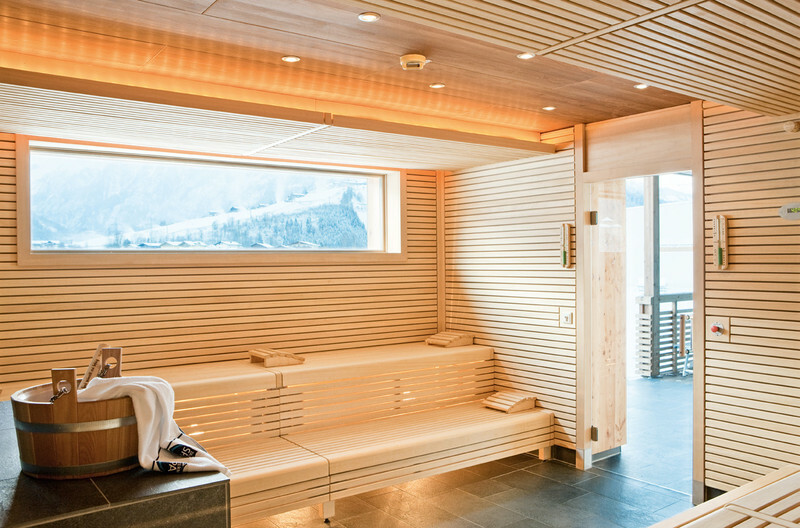 You can relax in the valley after a trip to the mountains‘ summits – visit Kaprun’s “Tauern Spa. If you like to spend your family holiday in Zell am See-Kaprun, you will find accommodations that offer special facilities and services for their young guests. Are you looking for a hotel in Zell am See or Kaprun? We appreciate your informal request. The TAUERN SPA Zell am See-Kaprun offers spectacular and modern architecture set amidst the unspoilt natural landscape of Hohe Tauern. This 4-star superior resort is a part of the VAMED Vitality World, the largest operator of spas and health resorts. 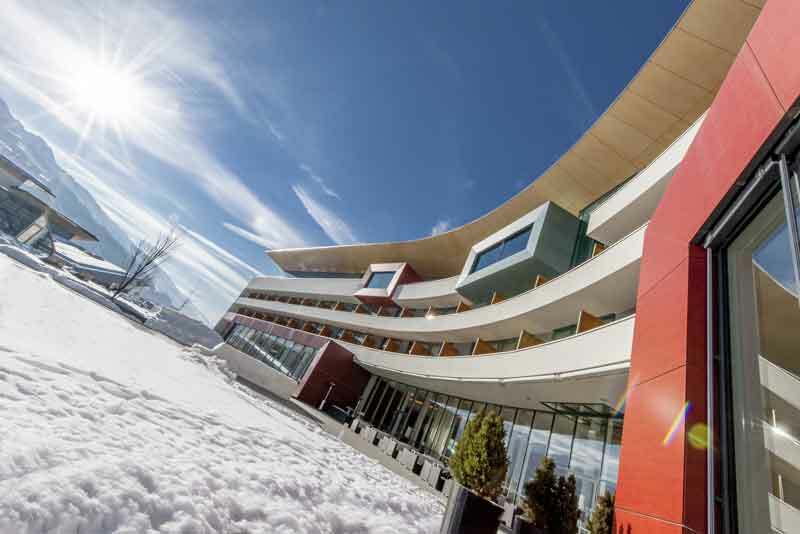 The TAUERN SPA, with its Spa, Water World and Sauna World, indoor and outdoor areas has been awarded the Leading Lifestyle Resort already three times. 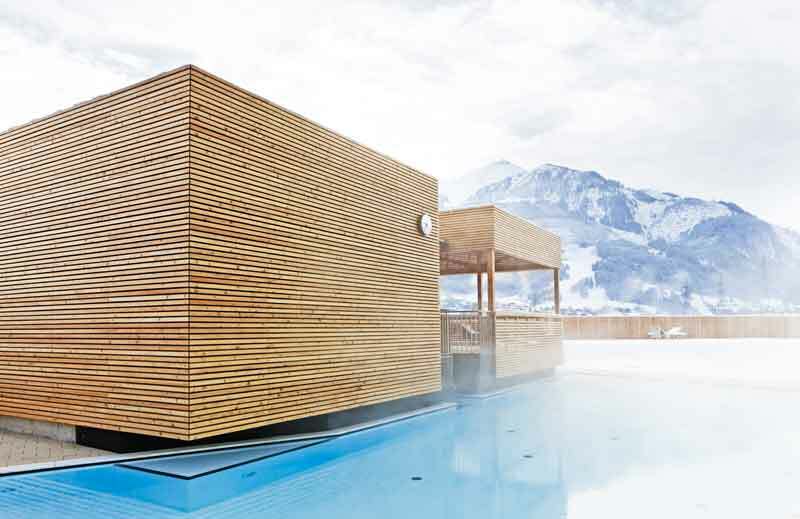 The buildings of the Tauern Spa are placed around a round central square, like an atoll. Protecting and at the same time welcoming light, air and landscape its shape radiates into the surrounding area. Inside and outside merge, large glass facades offer a magnificent view at the unique nature with its glaciers and mountains. Five different restaurants and bars, a vinotheque, live music at the hotel bar, great views from the terraces; the TAUERN SPA aims to surprise you: exotic flavors, combined with the local aromas of Austrian cuisine - expect excitement. It is cold and stormy outside. The SPA Sauna World offers 10 saunas and steam baths – it is a spacious and interesting place to feel good and relax. 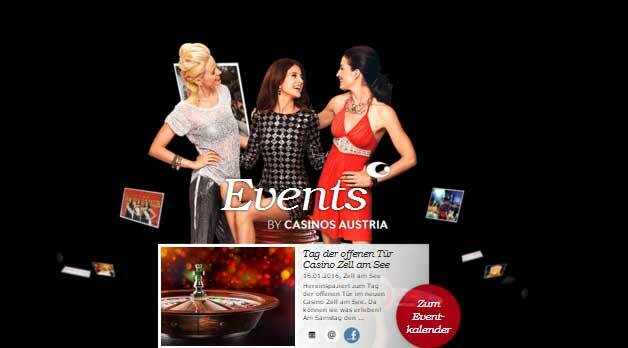 The Casino Zell am See offers “Après ski” of the extraordinary kind: enjoy a variety of games in a sophisticated atmosphere with high-class games and diversified entertainment. Located on the shore of Lake Zell next to the Grand Hotel guests of the Casino will enjoy the magnificent view at the surrounding mountains. Experience the one-of-a-kind flair of the casino. Select from a varied international range of games: American Roulette, Black Jack, Poker or Punto Banco. We offer high-class entertainment to our dear guests. Regular events like “The 13th – your lucky day” or the “Ladies Night” as well as exciting poker tournaments and various special events will meet the expectations of our highly estimated customers. 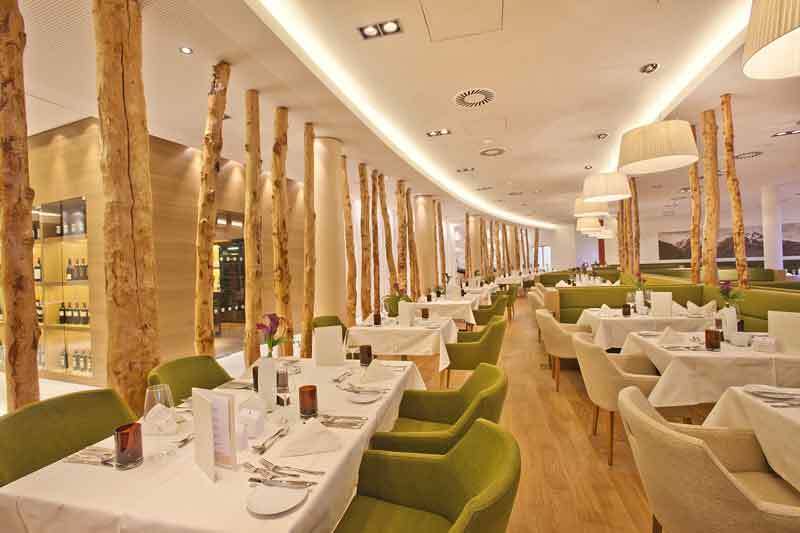 Choose one of our partner restaurants for your dinner based on what you have a taste for. Enjoy the flair of the city Zell am See and the view on the surrounding mountains. 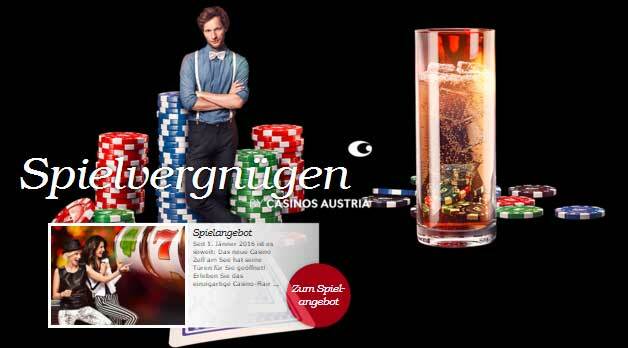 23 shops across Austria – 7 sportive locations – more than 1.000 ideas of sport! 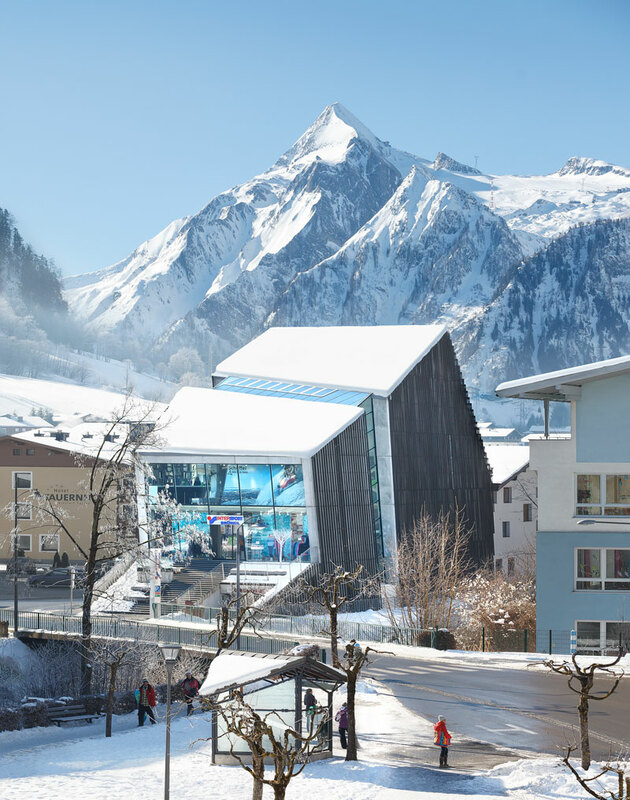 In our flagshipstore in Kaprun you will find stunning architecture on 1.400 qm with excellent sport competence on 4 floors, great shopping-experience, Bar „Sinnbar“ & Café Lounge, 3D-cinema, Apple-Internet-stations, Free Wifi, Elevator, Parking area incl. underground parking. Wide product-range and professional advice by our well-trained staff at all our shops. Monday - Saturday: 8.30 a.m. – 6.30 p.m.
Sun- & Holidays: 8.30 a.m. – 6.00 p.m.
50 % coupons twice a year, a 20 % birthday coupon or as much as 3 % annual bonus – these are just a few of many advantages of the BRÜNDL PLUS CARD. 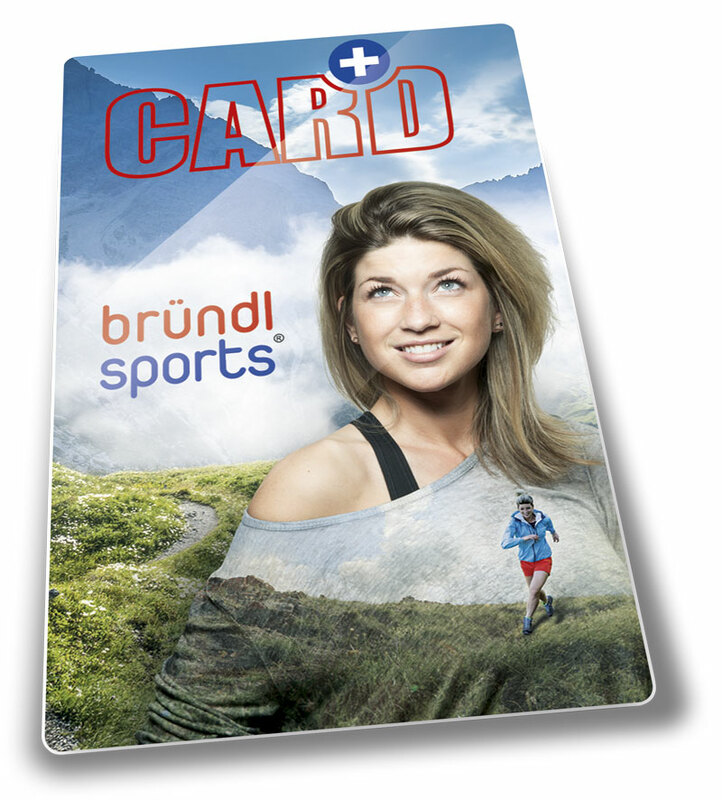 The BRÜNDL PLUS CARD you can get quite easily, non-binding and for free directly in all our 23 shops! 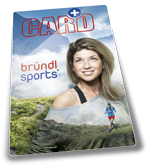 Come to one of our stores, get your personal BRÜNDL PLUS CARD and start saving with many advantages! A skiing holiday should be lots of things, but definitely not hard work. Having to lug along all of your gear for just a few days out on the slopes, puts a damper on your experience even on the way here. Thanks to our rental network, INTERSPORT Bründl Ski Rentals offers you an uncomplicated way to get your winter sports adventure underway. Whether you make your reservation online or once you are here: Rent out your favourite skis and exchange them free of charge whenever you want. Flying can be so easy! This is the perfect opportunity to take a balloon flight in winter! Enjoy the calm floating of the balloon in the valleys and over snow-clad mountain tops of the Alps. Winter balloon flights are a unique experience: crystal clear air, blue skies and the low position of the sun offer excellent visibility. It is spectacular - Don’t miss it! “FLAGGL BALLOONING GmbH”, a family-run commercial enterprise for hot air balloon passenger flights was founded by the Flaggls in 1995. The FLAGGL balloons are subject to very strict safety regulations and the pilots are among the best in terms of experience, safety and know-how. Because: Your safety is always paramount! Enjoy the unique possibility for passenger flights during „balloonalps“. 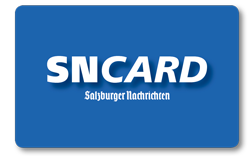 Reduced fees for BRÜNDL PLUS CARD-holder. 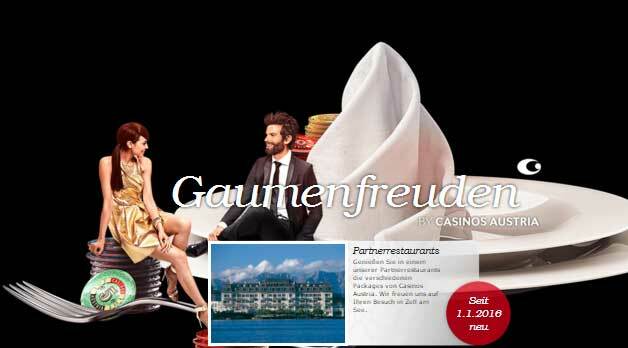 Here you can find discounts for guests of the TAUERN SPA. The Alps – high up in the air! 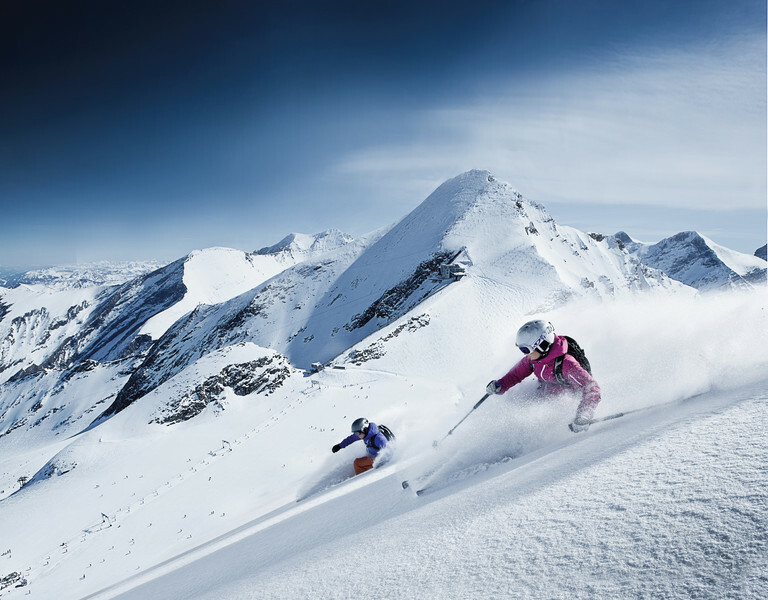 Climb up to more than 3000m over the top of the mountains around Zell am See-Kaprun. Driven only by the wind the view at the majestic mountain range is breathtaking. We will be up in the air for about 2-3 hours and will then find a suitable landing site in a valley. The chase vehicle will pick us up from there and take us back to the launch site (around noon). The traditional champagne toast will await you when we return. Launches will be scheduled daily February 11-19th, 2017 between 8.00 and 8.30 a.m. if weather conditions are ok. Launch site will be the airfield in Zell am See. Launch preparations will begin half an hour prior to lift off. The valley – flying lower than the mountain tops! This is the perfect flight if you don’t want to climb to high altitudes. The balloons will float in the winds of the valleys. This offers great views at the basins of Zell am See-Kaprun and Saalfelden. Launches will take place daily from February 11-19th 2017, between 8.00 and 8.30 a.m. if weather conditions are ok. Launch preparations will begin half an hour prior to lift off. Take a ride on the airship above the plain of Zell am See-Kaprun and Saalfelden! This is the perfect ride for those who do not want to climb too high. The airship floats with speeds from 5 to 30 km/h in heights of 50 to 300 m. The semi-open gondola offers clear view into all directions; a perfect platform for those who want to shoot films and take photos. Take-offs scheduled daily Feb 12-18, 2017, at the airfield in Zell am See between 9- 9.30 a.m. depending on weather conditions. t take off preparations begin at least 30 min before take-off. 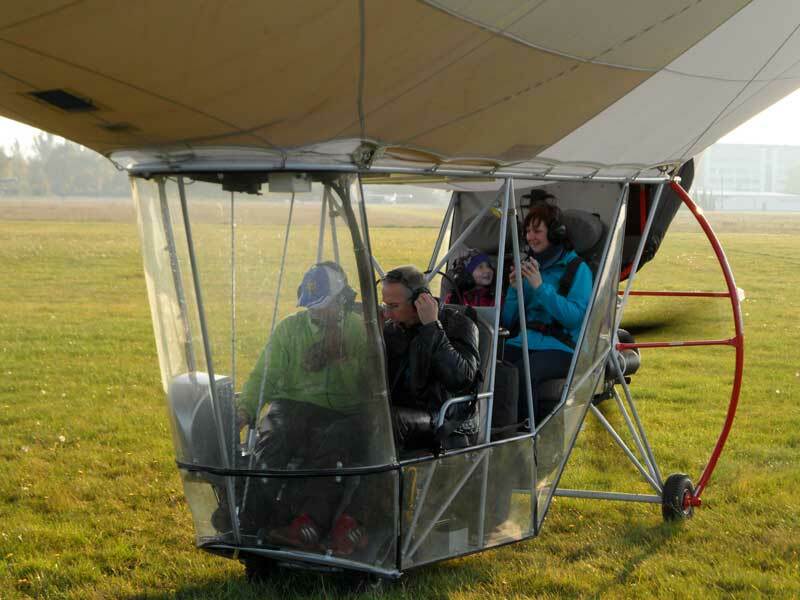 Participants must not suffer from any lung or heart disease, cardiovascular problems or pregnancy; the airship ride is more suitable for people over the age of 65 than rides in a hot air balloon. Comfortable, warm winter clothing, do not wear long coats, scarfs, backpacks, shoulder bags or tote bags; small bags for cameras are allowed.